If you can remember back to your younger days when you learnt to ride your first bike. You will remember the exhilaration along with the fear. When looking to buy your child a balance bike it is of importance that you consider the safety aspects of the bike. There are various balance bikes available on the market to choose from. Make your decision based on your budget and the requirements that your child needs out of the bike. Below are some popular brands you can choose from. Maximum rider weight: 55 lbs. or 25 kg. This balance bike has earned a preferred choice from a magazine known as Creative Child and additionally earned an approval from Parents Choice. The Chicco Red Bullet will help your child to quickly learn how to balance when moving onto a bike with two wheels. The main selling point of this bike is the adjustment to a real bike is relatively easy. Maximum rider weight: 70 lbs. or 31 kg. 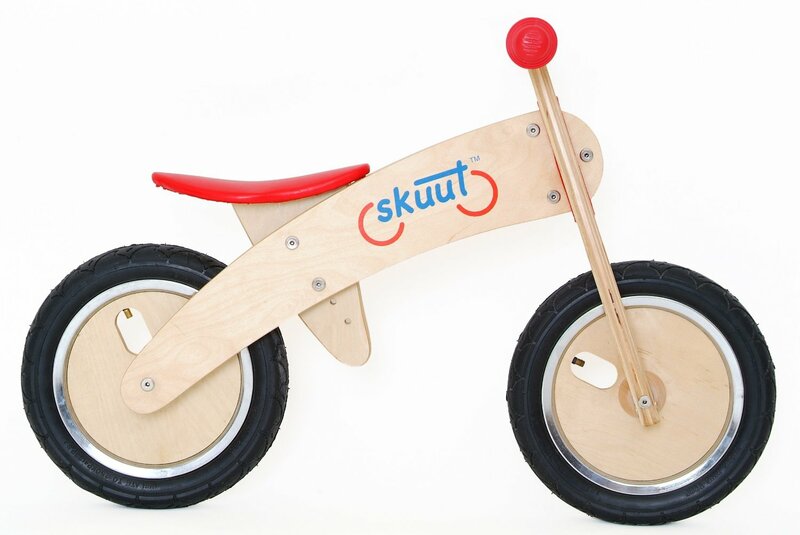 This bike has been developed for children between the ages of two and five and has no training wheels or pedals. Your child will use the bike by kicking off from the ground this will make the bike move forward. 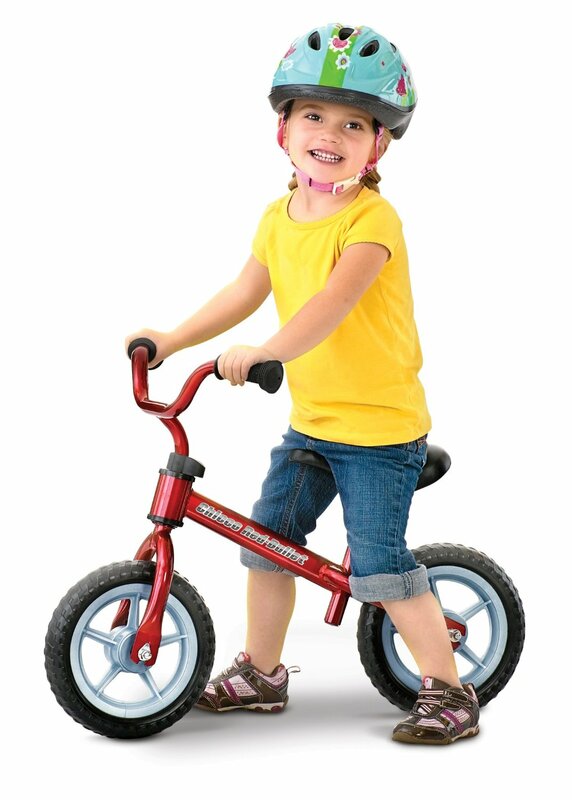 This bike is great at teaching steering, coordination, independence and balance. 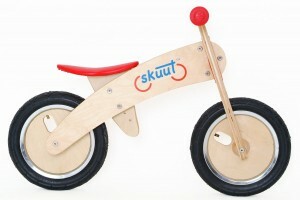 After the Diggin Active Skuut your child will find the transition to a two wheel bike much easier. This bike has won numerous awards which include: Approval, Editors choice, and Excellence from (The Toy Man). To give your child the best start this bike comes highly recommendable. Maximum rider weight: 60 lbs. or 27 kg. 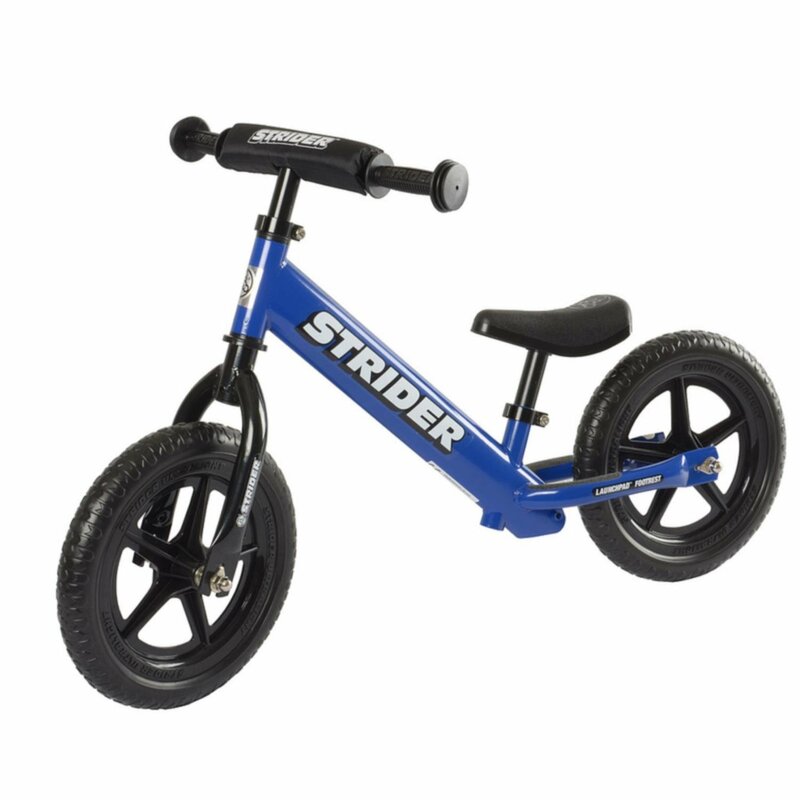 If your toddler has reached the stage of walking the Strider ST-4 Pedal Balance Bike is a great start in getting your child active. The design of the balance bike is to ensure stability, safety and steadiness, the age group for this bike is designed eighteen months all the way up to five years. The Strider is incredibly light weight and weighs only 6.7 pounds. The lightweight aspect of the bike makes the handling aspects easy for first time riders. The frame comes with integrated footrests which will encourage advancement in rider development. You can adjust the saddle and a handlebar as your child grows. This balance bike is one of a kind as it has the ability to teach your child how to ride without any training wheels. The bike is part scooter, part bike with a unique design which will quickly encourage balance for your little one. The seat has an adjustable height level as well as the handlebars, this will enable you to accommodate your child with every growth spurt. The bike has a rear end hand brake along with wheels boasting chrome mags. The foot deck on the bike will allow for coasting or scooting while the feet are up. It has been recommended by various pediatricians that learning skills such as coordination and balance are vital in the younger years. Learning to ride and balance on a bike is great ways to jump start your child’s development and growth. The ST-4 promotes confidence, coordination and balance and will help to develop your child’s motor skills. Make sure you choose the right balance bike to suit your child’s needs. Choose a bike that will last your child for a few years. What is the Best Balance Bike for Toddlers? Finding out which balance bike is best for your toddler depends on a lot of things. All the bikes listed above are great starter bikes for kids. To find out which one to get, you should first know how big/tall is your child, and in what height and weight percentile is he or she in. Your kid might just be 2 years old yet he’s tall for his age. Although recommended for 3 years old and above, the Chicco Bullet can be used by toddlers as young as 18 months. If you want a dependable bike that can be adjusted, then get the ST-4. 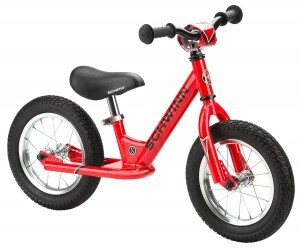 Schwinn has a reputation for building quality products, and the Schwinn balance bike is no exception. It looks and feels like a real bike with real wheels. It is undoubtedly durable. I searched everywhere for the specifications of this bike, to no avail. The only thing for sure is, if your 3 to 5-year old child’s height and weight is just right for his/her age, then the Schwinn is great choice.